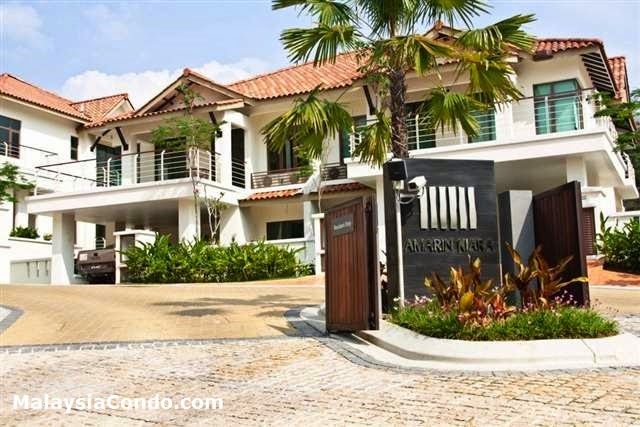 Amarin Kiara located at Mont Kiara consist of 30 units semi-detached houses and a detached villas. This gated houses come with four layout designs with built size ranging from 4,037 sq.ft. to 6,141 sq.ft. Each home equipped with spacious entertainment area with sundeck and swimming pool, fully equipped bathroom and fitted kitchen. There is a clubhouse built within the compound with a games room, gymnasium and meeting area. Built-up Area : 4,073 sq.ft. - 6,141 sq.ft.